Circulating megakaryocytes are prognostic among patients with prostate cancer, bolstering evidence from breast cancer studies linking megakaryocytes to metastasis. The most-employed CTC capture platforms use an antibody that targets the epithelial cell surface protein, EPCaM.2 But authors of a new study instead used Parsortix™, which captures large and less flexible or deformable cells from blood samples. That means it can capture a wider range of CTC and cell types, potentially improving the sensitivity and applications of liquid biopsy. The ability to capture epithelial cells transitioning to mesenchymal phenotypes, or fully-transformed mesenchymal cells, improved the detection in blood of both localized and castration-resistant disease. Using the cell-capture technology and repeated fluorescent in situ hybridization (FISH) analysis of blood from 81 men, Dr Lu and colleagues found that the number of CTCs and circulating epithelial-mesenchymal transition (EMT) prostate cancer cells were of prognostic value. 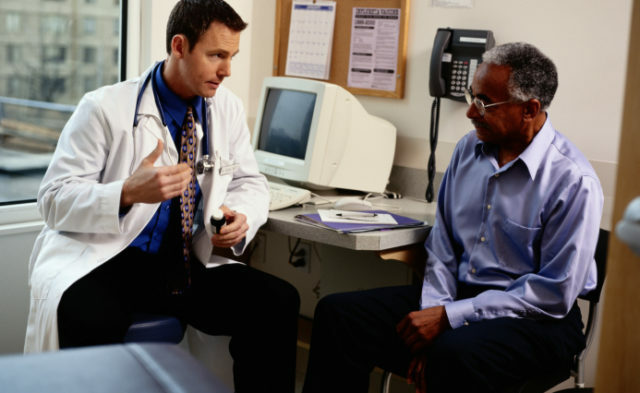 The association of CTCs that are undergoing or that have completed EMT with prostate cancer had not been previously reported, Dr Lu told Cancer Therapy Advisor. More research with larger patient cohorts are needed, Dr Lu cautioned — but the team’s findings strongly suggest that including mesenchymal as well as epithelial CTCs might yield more powerfully prognostic blood tests. Combined with prostate-specific antigen (PSA) levels, EMT cell counts predicted metastasis risk with 92% accuracy. The ability to assess different molecular CTC subtypes, and the possible prognostic value of mesenchymal CTC counts, are notable, according to Josep Domingo-Domenech, MD, PhD, associate professor of pathology at the Icahn School of Medicine at Mount Sinai in New York, New York.